Pitch: The Yorkshire Party has been active in the Wakefield district since 2015, contesting three sets of local elections and three by-elections so far. Our aim is simple – we want to bring powers back to local areas and give local people more of a say in decision-making. The Wakefield branch of The Yorkshire Party is standing six candidates in 2018 – our highest number yet. None of our candidates are what you could call “career politicians”. They have ordinary jobs, with two working in roles connected with the NHS and another running their own marketing business. Equally, they are rooted in their local communities and have a commitment to improving those areas. 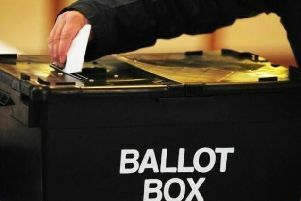 In places like Wakefield which have been traditionally dominated by one political party, voters can be left feeling disenfranchised and ignored. It’s true that there are many hard-working councillors around our district, but the traditional party system fails voters, with decisions being based on ideology and not what is best for each individual ward. Our commitment is to listen and learn from the people who know their communities best, and this is an invitation which extends far beyond the elections taking place on May 3 as we seek to improve the WakefielddDistrict in the years ahead.